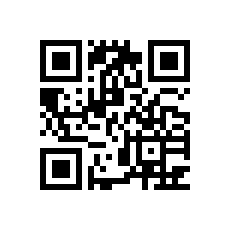 Here's my new app, give it a spin! Keep track of work time and document your projects. Calculate your salary/income as an employee or the amount to bill/invoice your customers if you are a freelance, consultant or contractor. Handle different hourly rates and expenses such as mileage with ease. Then, send itemized or aggregated time & expense reports in a variety of formats. All this with a beautiful interface, easily understood by both pro and novice users. Create and manage multiple projects, choose employer/client from your contacts. Track multiple active tasks, running simultaneously. 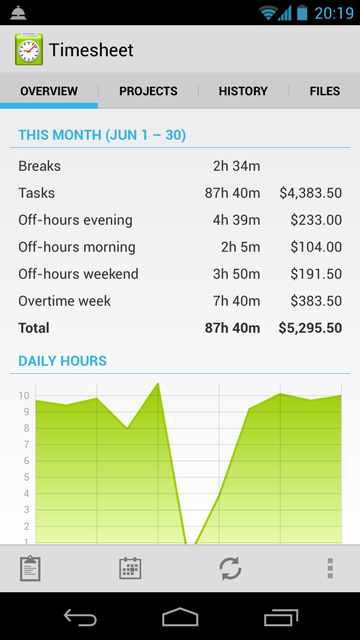 Fully configurable hourly rates for overtime, off-hours, weekends, etc. Register breaks, paid or unpaid. 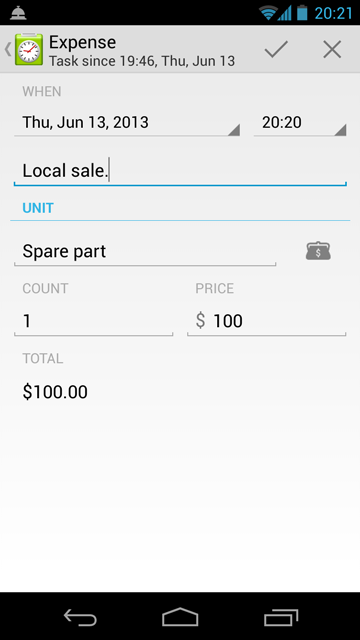 Register work expenses, with predefined units and prices. Document you project and tasks with text files, photos using the camera or create maps with points of interest. Automate tasks with GPS positions, Wi-Fi networks, QR codes or NFC tags. Automatic mileage calculation with route/track export in Google Earth format (KML). Quickly register tasks from phone calls with customers. Daily, weekly, biweekly, monthly, yearly or custom fixed/rolling period statistics and reporting. Powerful payroll/expense report customization; itemized, aggregated, income/sales tax (VAT/GST) and more in Microsoft Excel (XLS), CSV, HTML or XML format. Import/export expense price list and hourly rates. Backup and restore. Automatic daily backups. Send files, reports, exports and backups via e-mail or to SD card, FTP server, Google Drive, Dropbox, etc. Built-in FTP client, spreadsheet viewer, map and text editor. Home and lock screen widgets with simple timeclock controls to punch-in or out. Status bar notifications to quickly access ongoing tasks. Read the documentation, also found within the app in the Help menu. Last edited by ballzak on Thu Aug 22, 2013 2:49 am, edited 1 time in total. In-app purchase of “Premium Upgrade” to remove advertisements. Removed mileage and phone task launcher icons. Now available in the main menu. Create home screen shortcuts to mileage task, phone task and projects. Fixed “Send” issue for Froyo (2.2) and Gingerbread (2.3) devices. Added Hourly rate with fixed date range that can be used for holidays. Fix for the reported “Force Close” issue that appeared in version 1.1.3 for some users. New feature to move task to other project. Now using split action bar. Fixed bug that stopped widgets from updating. Automatic daily backup to Google Drive (Android 4.0+). Setting for show recent activity. Moved some functionality to an [url="https://play.google.com/store/apps/details?id=com.llamalab.timesheet.ext"]extension[/url] to reduce permission requirements. 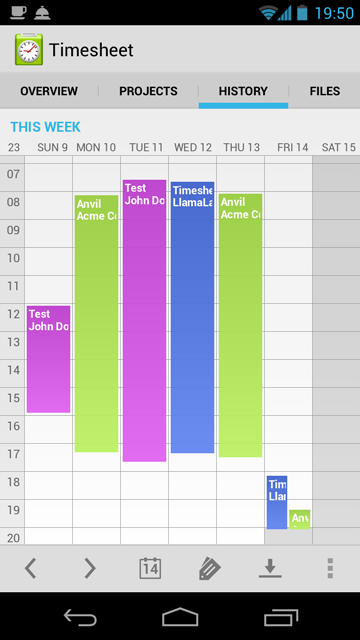 Export/import calendar events to/from tasks (Android 4.0+). Projects can now be assigned a color. Projects can not have “Closed” status. Removed notifications for phone tasks. Tasks can be classified with tags. Filter report result, task list and history by tags. 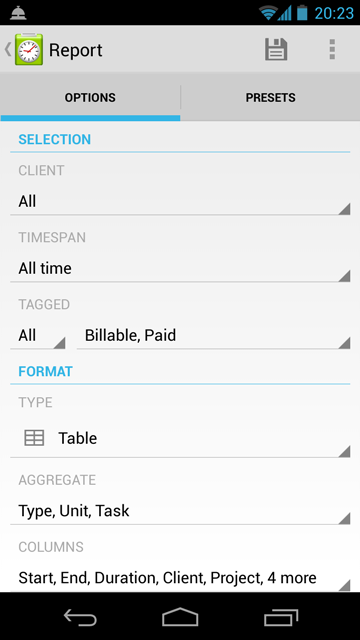 New type of hourly rate that applies to tagged tasks. Show project color in window title. Limit dates in break and expense editor to task bounds. Fixed bug that made Mileage stop working! Added a duration field to task and break entry. New time rounding mode down/up. Create reports and invoices in PDF format. Note! Some report columns have been renamed. Export single tasks to calendar. Visual indication when project and tag filters is active. Fixed bug in automated WiFi and GPS punch out.